and mixing and watching something perfect come together brought a smile to my face. 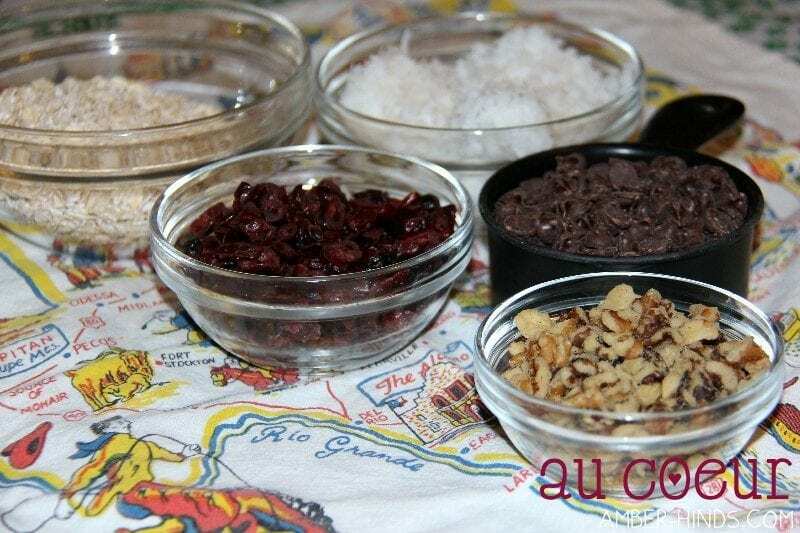 It’s been awhile since I shared a sweet recipe, so this feels like the right time to spread some joy in the form of oatmeal, cranberry, coconut, dark chocolate, and pecans. In a medium mixing bowl beat butter with an electric mixer for 30 seconds. Add granulated sugar, brown sugar, baking powder, and baking soda; beat until combined. Beat in the egg and vanilla. Beat in the flour. 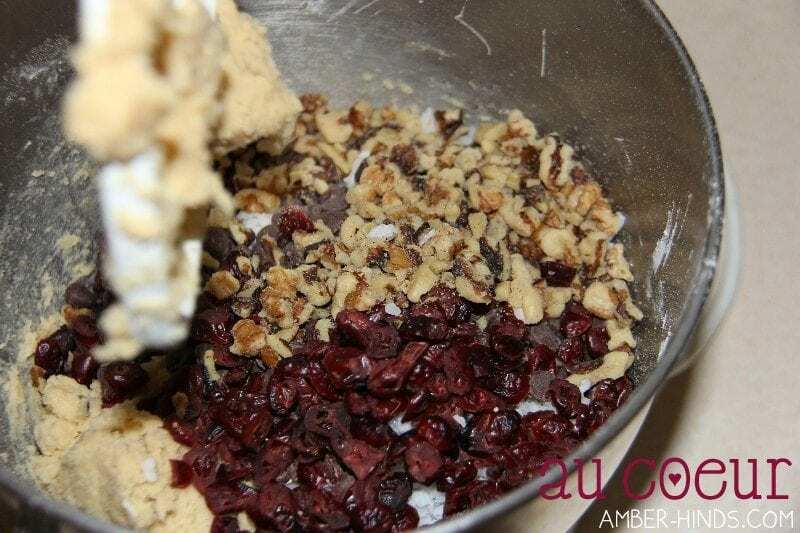 Stir in oats, coconut, cranberries, chocolate chips, and nuts. Drop dough by rounded teaspoons 1 inch apart onto an ungreased cookie sheet and bake in a 350 degree F oven about 10 minutes or until edges are golden brown. Cool on cookie sheet for 1 minute. Transfer to a wire rack; cool. Makes about 48 cookies. Extra cookie dough can be frozen and baked later without thawing. The Cowboy cookies look terrific! I’ll have to try them. Like you, I like to bake a lot and let everyone eat the creations, but rarely me. I’d rather have a good seafood dish! I hope all is well with you, Chris and Nora, and you had a wonderful Memorial weekend. Continued luck with your web business–you are one talented lady!